Welcome to the world of Nocturnia, where darkness reigns supreme, glitter is terrifying, and unicorns are the stuff of nightmares! 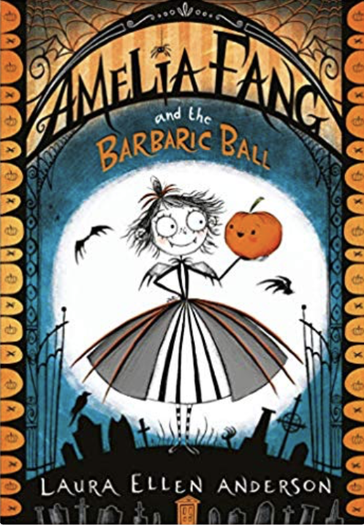 Amelia Fang would much rather hang out with her pet pumpkin Squashy and her friends Florence the yeti (DON'T CALL HER BEAST!) and Grimaldi the reaper than dance at her parents' annual Barbaric Ball. Will the trailer make you want to read the book?